Designed by Rowland Rees and built in 1879, this house was owned by William Austin Horn. Horn was a mining magnate, pastoralist and politician. He was born in New South Wales in 1842 and arrived in South Australia in 1852, where he became a successful pastoralist. Horn is best remembered for his contributions to the state’s mining industry. While he was working on the Wallaroo property of Sir Walter Hughes, a shepherd discovered copper ore. Hughes asked Horn to go to Adelaide to lodge a claim. A rival group had left for Adelaide 17 hours before to lodge a claim for the same site. Horn travelled an impressive 264m by horse in 22 hours to try to claim the land first. Alas, when he reached the lands office the other group was already there. But when the clerk opened the office he recognised Horn and processed his claim first. The rival group also made a claim, and after an investigation, Walter Hughes eventually settled with them to become the owner. This copper deposit became one of the richest mines in Australia, and Horn became a shareholder. Horn was also a Member of Parliament for Flinders from 1887 to 1893. An admirer of the arts, he donated three statues to the city, including Adelaide’s very first public statue, Venus. The Horn family eventually sold this property and it had several different owners until 1953, when the University of Adelaide’s St Mark’s College bought it using a donation from Lady Kitty Price, wife of Sir Archibald Grenfell Price. It is now the residential college master’s home. 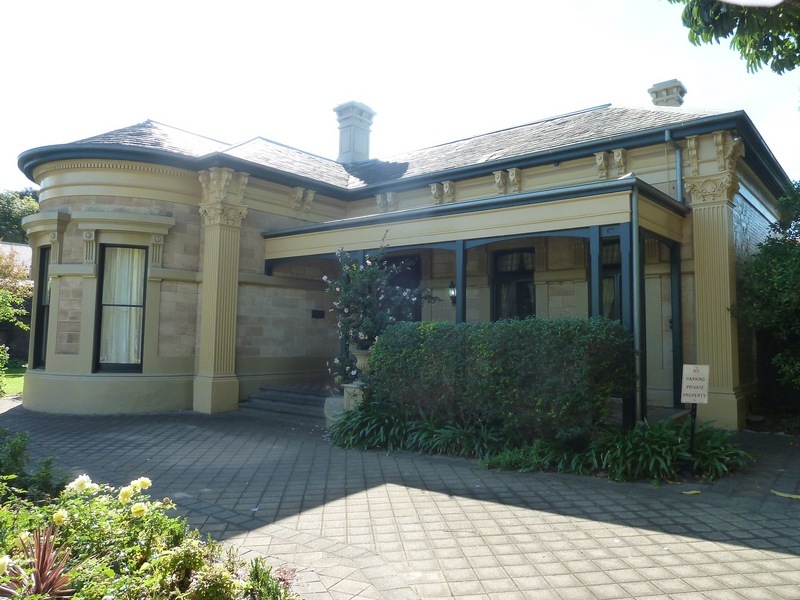 “Archibald Grenfell Price Lodge,” Adelaide City Explorer, accessed April 26, 2019, https://adelaidecityexplorer.com.au/items/show/112.